Tired of tracking everything on your own? Help is here! If your business has more than a handful of employees you can easily become bogged down in paperwork. The same can be said for a business with more than a few clients. And what if each client has more than one project going on at the same time? What if someone has a support issue that needs to be addressed? The questions can go on and on, but at their heart is a common theme: keeping track of information and sharing it with the right people at the right time in order to keep your business running smoothly. Even the most well-organized team member is still just one person, and if files need to be shared amongst team members or with clients things can get complicated pretty quickly. Apps and services exist that can really give your business the boost you’ve been looking for, both in organization and productivity. People who have access to the information they need when they need it are able to work more quickly and confidently, and this is an excellent recipe for business success! We’ve tracked down information on a few products that we think could be very helpful for your business. These do have fees associated with them, but we feel that if you decide to use them you will find them to be a solid investment decision. FreshBooks – FreshBooks is a cloud-based accounting service. You can track time (when and how long employees are working), log expenses, invoice clients, and much more. FreshBooks works on iOS, Android, and Windows operating systems. Podio – Podio is an online collaboration and communication service. You can use it to keep in touch with employees in a social sharing style environment (as opposed to endless strings of emails), share documents, create and collaborate on the fly, chat in real time, and that’s not nearly everything this service offers! Podio works on iOS, Android, and Windows operating systems. Zoho – Zoho is a full-service online business solution. 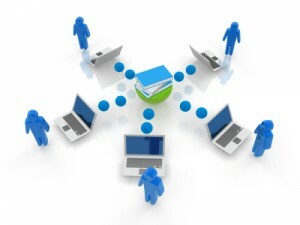 It offers live chats, document and file sharing, a support system for clients, and much more. Zoho works on both mobile devices and desktops. There are many more apps and services like these available if you are seeking a similar sort of business assistance or performance solution. These were simply a few we found to be very impressive and potentially useful. If you can manage and maintain communications, accounting and billing, and other paperwork or email-generating aspects of your business without needing to work with an outside solution, good for you! You’re accomplishing something most businesses cannot. Needing help is not a sign of weakness, and if you feel that your business could use one of these solutions or others like them to improve communication, productivity, and satisfaction, what are you waiting for? Many such services and programs offer a limited free trial period, so you should have a chance to try the system before you make a monthly fee commitment. Does your business use a service like those we have described above? If yes, which one? If no, why not?